Why I Choose Nutrilite Vitamins and Supplements. 5 Reasons Why I Choose Nutrilite. 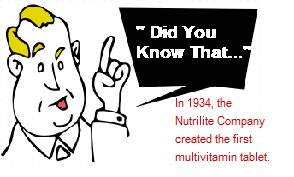 2) Nutrilite is a full vitamin and supplement brand system. I often stress that when choosing a vitamin brand, you should go with a company that offers a complete health system. This allows for brand loyalty. Nutrilite has that, they offer what I need in one place. 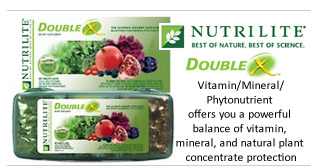 I know that if I'm looking for a particular vitamin, I can turn to Nutrilite and get a quality and trusted supplement. 3) The supplements from Nutrilite are all organic and plant-based. This company owns a produce farm so that they can control how the fruits and vegetables that they use in their products are grown. The fruits and vegetables are grown naturally and pesticide free. They also pay their neighboring farms to not use pesticides or any other artificial ingredients on their plants so that there is no run off to the Nutrilite farm. So far from my research, this company is committed to quality and freshness. 4) There is no "call to cancel" ordering. I hate call to cancel or contact to cancel ordering. You know...when you order a product thinking that you are ordering the product only once, then it turns out that you've actually signed up to have your credit or debit card drafted every month and the product automatically being shipped to you...unless you "call to cancel." I've had that experience before and it was a pain in the neck. When I found Nutrilite, I was so glad that there was NO CALL TO CANCEL ORDERING. To be honest, I probably would have never experienced the wonders of Double X had there been. I did like that I had the option to set my own account. If I decided that I wanted to have my products on repeat, all I had to do was simply login to my account and set it up the way I wanted it to be. I could have my products sent to me and my card charged every month, every 2 months, or every 6 months if I wanted to. Better than that, I could just go online and order it when I wanted it. 5) The personal touch and the business opportunity. When someone finds a good product, it needs to be shared with others and if some money can be made in the process then great. That's how I feel about Nutrilite. I really like the products and I was buying so much of it, I decided that I can have a business and buy the products from myself. Are you interested in learning how you can get healthy, make money, and help others do the same... contact me!